IMPORTANT: This payment link only applies to you if you booked directly on the Maui Gold Condos website (NOT on VRBO/HomeAway, Flipkey/Tripadvisor, or Airbnb). If you booked on VRBO/HomeAway, Flipkey/Tripadvisor, or Airbnb, they will send you a "Payment Request" 7 days before your final payment is due. 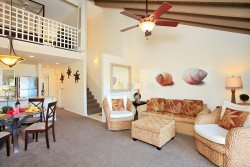 If you booked directly on MauiGoldCondos.com, please use the secure payment link below to pay the balance due for your reservation via VacationRentPayment. *In the "Payment Details" box on the payment page, please enter in your Maui Gold Condos Reservation # and amount due (reservation # and amount due are found in your original Maui Gold Condos reservation confirmation email). You'll receive a receipt from "VacationRentPayment" via email after the payment has been successfully processed. You'll receive the directions and arrival/entry instructions for the property you have reserved 3 days prior to your arrival. Arrival instructions can also be found in your original Maui Gold Condos reservation confirmation email.